Part of our mission is to support grieving individuals through the death of a loved one, as it can be one of the most stressful life events a person can experience—whether the death is expected or not. 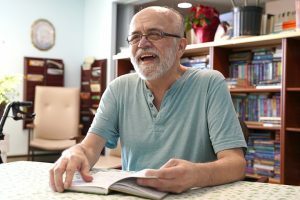 Hospice of the Red River Valley offers a robust bereavement program—not only to family members of the individuals we care for—but also for community members. We support individuals and families moving through the grief process by providing support groups, education and training and individual grief support for community members. Our services extend to providing guidance to schools and workplaces, as well. Anyone may attend a support group or class regardless of whether or not your loved one was served by Hospice of the Red River Valley. 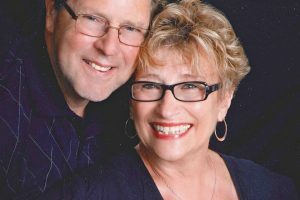 Through the generosity of local donors and community support, Hospice of the Red River Valley offers most programs and services free of charge. Although there is a nominal registration fee for some seasonal classes, we offer scholarships and no one is denied support because of an inability to pay. Each Hospice of the Red River Valley office location includes a resource library. 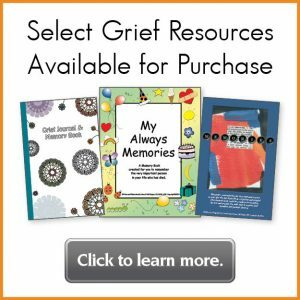 The library offers resources on a one-month loan basis, to help you understand and manage your grief and healing process. Please call (800) 237-4629 or email resources@hrrv.org for additional information and availability. Our support groups offer a safe and supportive environment for adults to share their experiences with loss and learn ways to heal from one another. Anyone who has lost a loved one through death may attend support groups offered at Hospice of the Red River Valley. There is no pre-registration required to attend support groups, and there is no charge thanks to generous donations of past participants, churches, businesses and grant funds. Groups include support for adults of all ages and specialized groups for widows, men and pregnancy and infant loss. To view ongoing support groups, visit our calendar. Click to download and print a comprehensive 2019 support group flyer. We offer grief classes and workshops throughout the year covering a variety of topics, including Youth Journeys, Transitions: Beyond Widowhood, How to Help a Grieving Friend, Journeying Through Grief for Adults and Grief During the Holidays. Grief workshops provide support and practical suggestions for working through your grief journey. Classes are free. Pre-registration is required to attend workshops. Sign up to automatically receive an email when new support groups and grief classes are offered. To view upcoming classes, visit our calendar. Children and youth who have experienced loss through death or a crisis situation require special attention and care. Hospice of the Red River Valley supports grieving kids and teens through youth programming, such as school support groups, seasonal grief classes and one-on-one support provided by professional grief specialists.Contact us at bereavement@hrrv.org or call (800) 237-4629 for additional information and availability. To help community members understand issues of grief and loss, we provide presentations to the public, health care professionals and schools. Presentations are tailored to specific needs of any group and time frame. A charge may apply for some presentations. Please contact us to learn more about grief presentations or to request a speaker.